Shop for the VLP on AmazonSmile and We-Care.com! When you shop through AmazonSmile and We-Care.com every purchase will result in an automatic donation to the Brooklyn Volunteer Lawyers Project, at no extra cost to you. And, in the spirit of #GivingTuesday on December 2nd, please remember the VLP while you shop. Get started with AmazonSmile here! 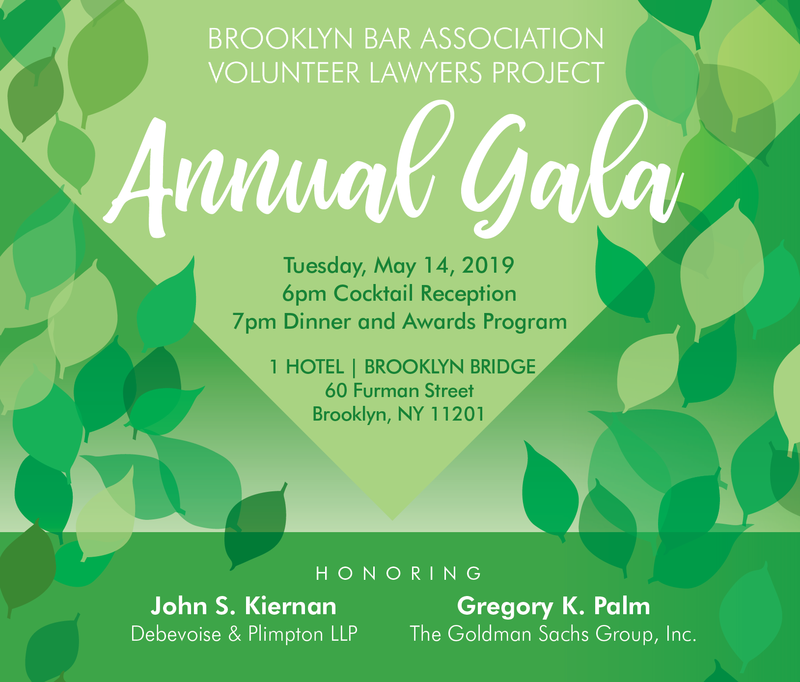 Please Support The Brooklyn Volunteer Lawyers Project Through Our Online Shopping Mall. Click here to see the flyer and register for this CLE! Consumer Rights Project at MFY Legal Services, Inc. 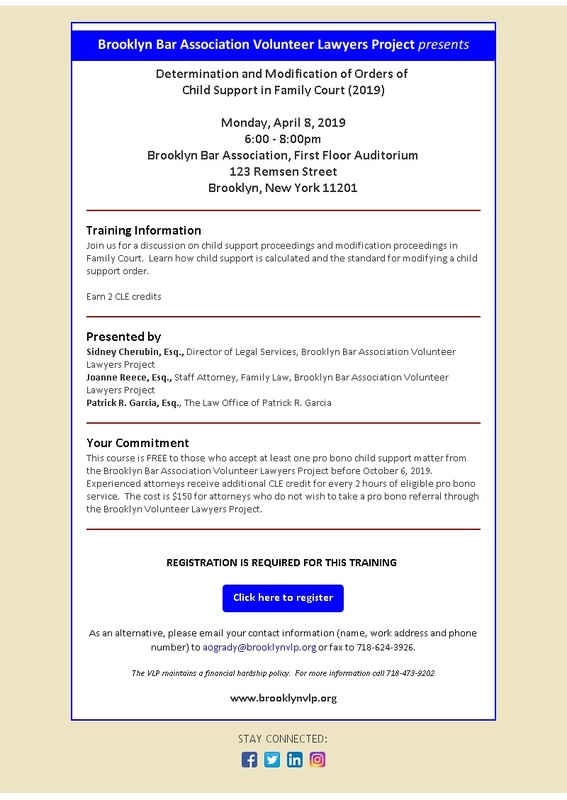 Please join us for a program covering Introduction to CLARO; Ethical Considerations; Client Interaction; Pre-Litigation & The Life of a Debt; The Court Process & Key Motions; Substantive Defenses; Negotiating a Settlement; Stipulations; Preparing the Pro Se Consumer Debt Defendant for Trial.Appropriate for newly admitted and experienced attorneys. 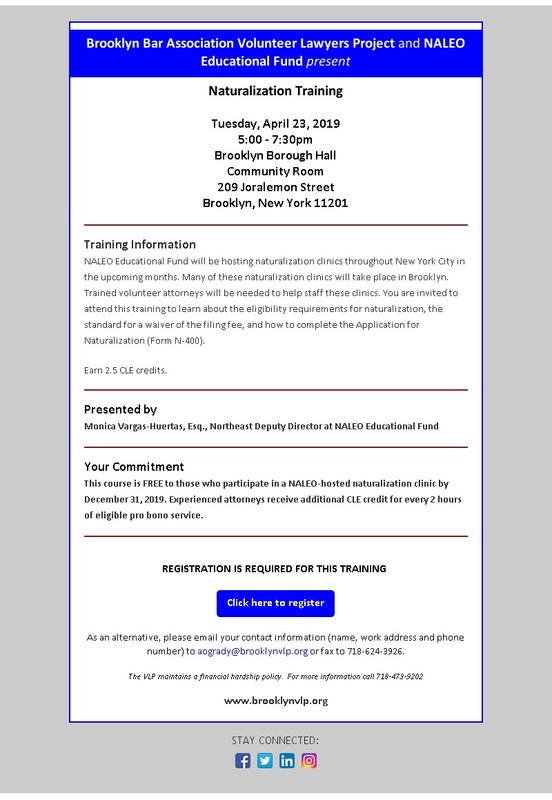 This course is FREE to those who volunteer for 6 total hours with CLARO or 12 total hours with the Civil Court consumer debt pro se assistance programs by May 30, 2015. The commitment may be different for the Civil Court Programs. This CLE provides 1.5 credits in Professional Practice and 1.5 credits in Skills.